Before ordering, please read the product Special Shipping Requirements. 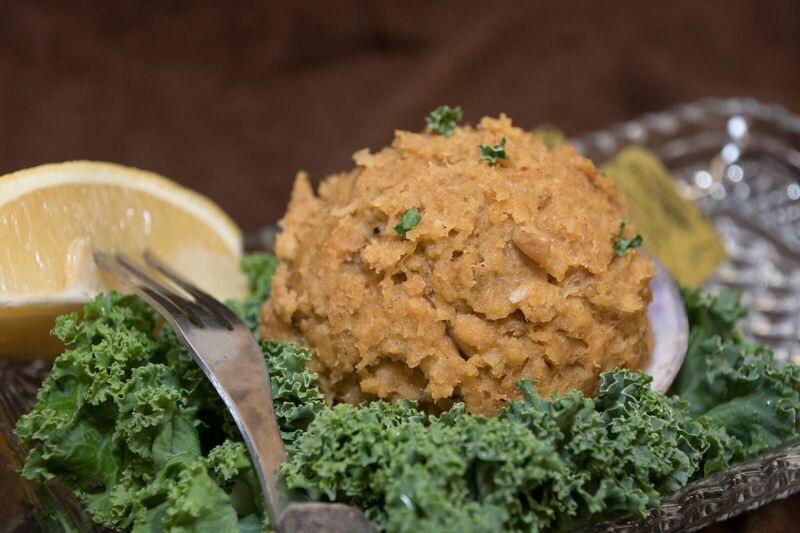 Mild stuffed quahogs made with Portuguese bread and a unique line of spices to create unique and savory stuffed quahogs. 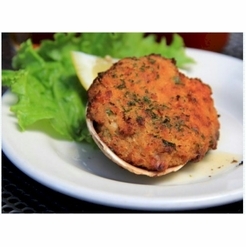 Sold as 12 stuffed quahogs (4.5 oz. each). 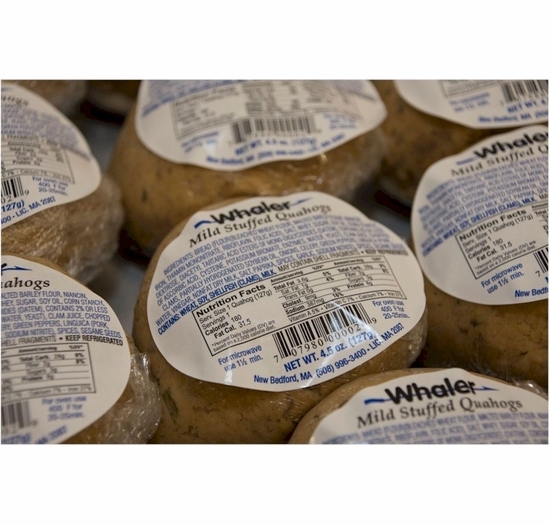 Days to Ship: If you are ordering Whaler Seafood quahogs, must select Next Day shipping. We only ship on Monday, Tuesday, Wednesday and Thursday to ensure your order arrives by Friday and does not get hung up in transit over a weekend period. 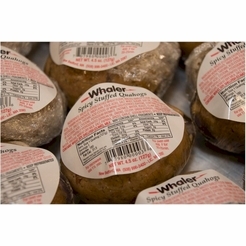 Shipping Stuffed Quahogs: Each 12-pack is shipped separately in an insulated box with sufficient cold packs. 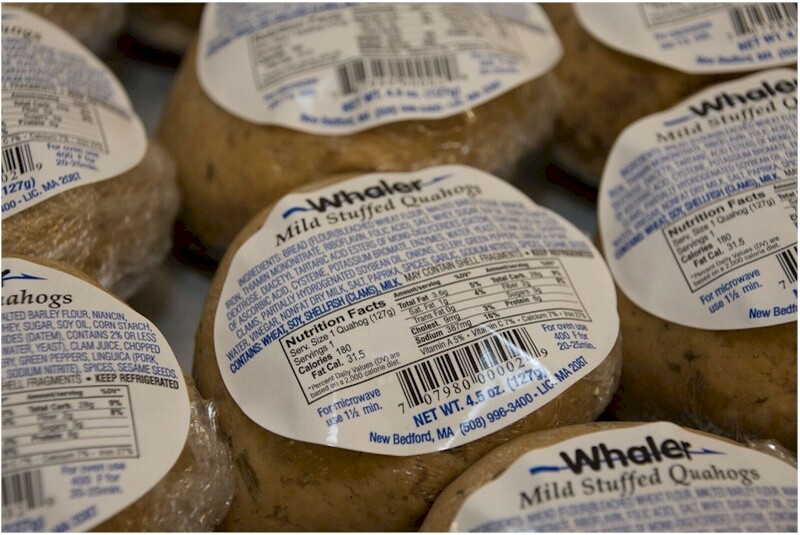 Shipping Method Required: This product is packed for UPS Next Day Air to ensure that the quahogs arrive to your destination within 24 hours. Your order is shipped in super insulated boxes with sufficient cold packs to keep your order cool during the entire shipment. Please arrange to have someone available to receive your order from UPS at the address you specify and refrigerate order immediately upon receipt. 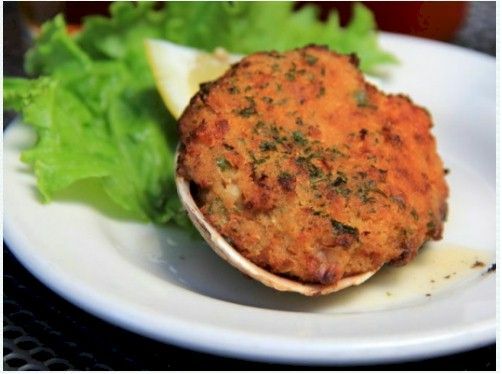 Stuffed Quahogs cannot be gift wrapped.